The sound of water lapping at the hull of your boat and the cool breeze on your face are among the many pleasures of being on the water. But as enjoyable as recreational boating can be, people must approach it seriously and be prepared so that each outing on the water can be a great success. Competency test : there’s no way around it! 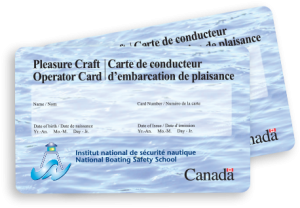 The National Boating Safety School offers the proper course and exam system in order to get your Pleasure Craft Operator Card. The boating license is valid in Québec and across Canada. Take the online boat license exam today!